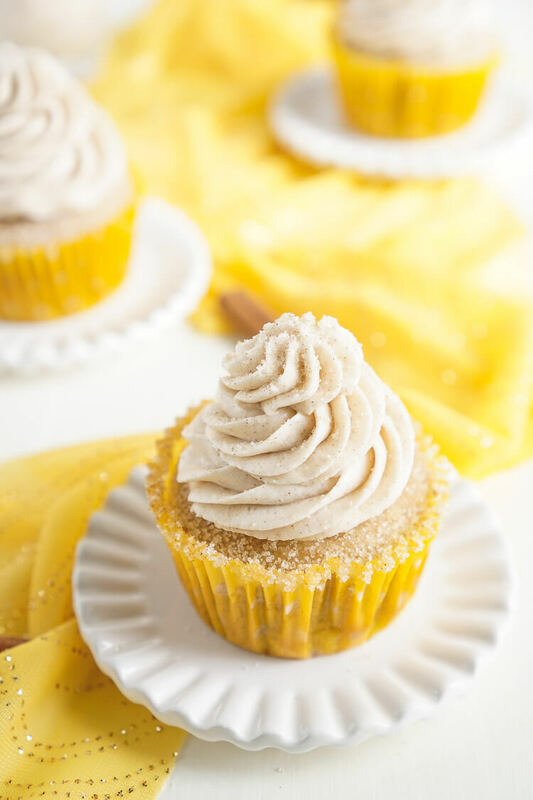 These Snickerdoodle Cupcakes are everything you love about the classic cinnamon sugar cookie in cupcake form! 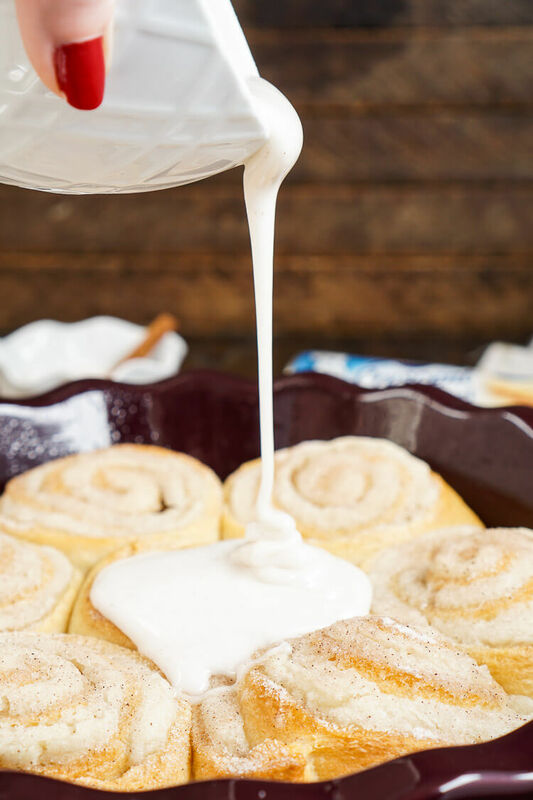 So I’ve been on a bit of a snickerdoodle kick since I posted my 5-ingredient Snickerdoodle Sweet Rolls last week. 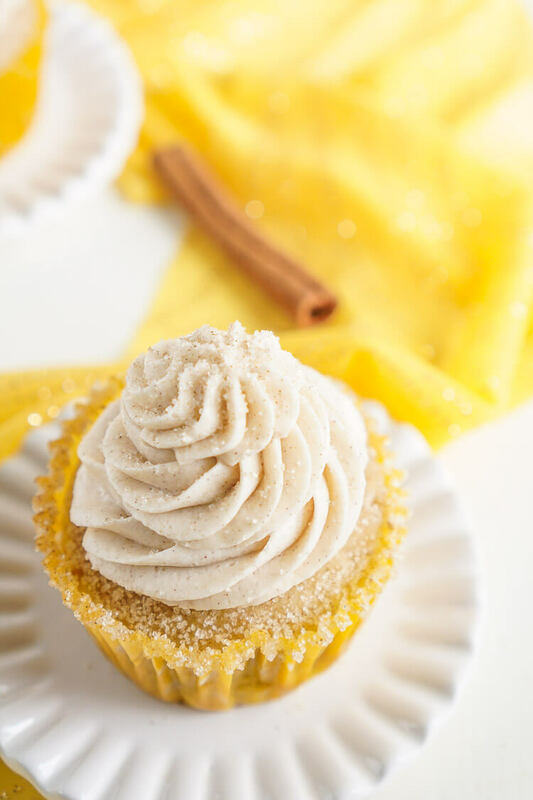 There’s just something about that cinnamon and sugar combo when it’s added to baked goods, am I right? It’s been a while since I posted a cupcake too, I mean, it’s been at least a month and something just isn’t right about that. 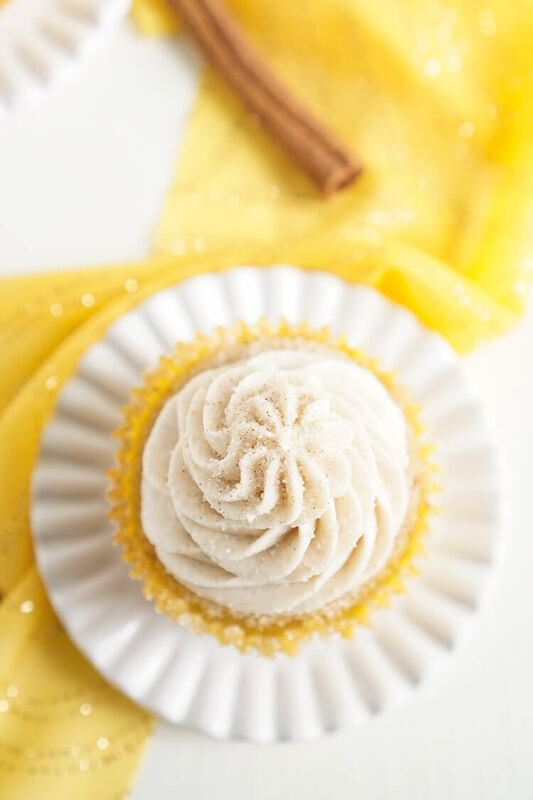 But it hasn’t stopped you guys from gobbling up some older cupcake recipes like my White Chocolate Raspberry Champagne Cupcakes or my Dark Chocolate with Raspberry Vanilla Creme Cupcakes! 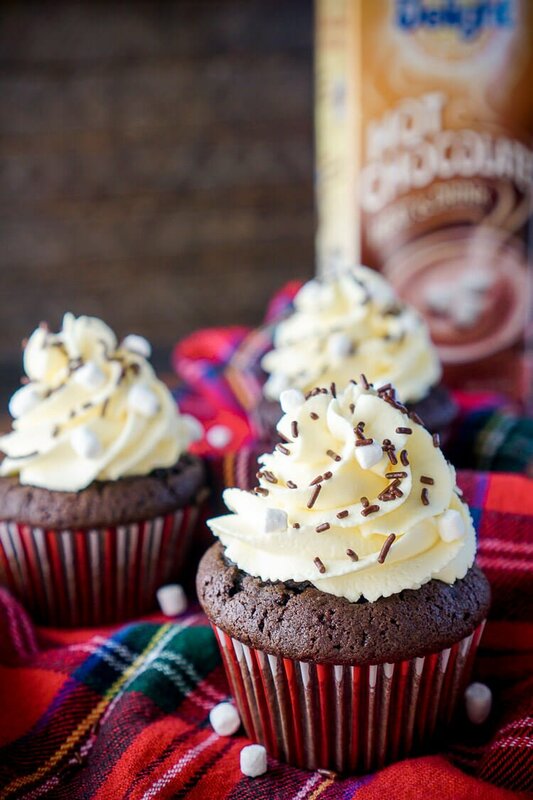 These cupcakes are the perfect transitional cupcake as we leave behind the crisp fall and move into a cozy winter. 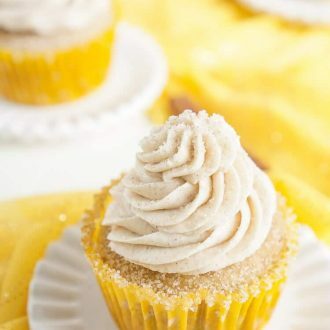 I love these cupcakes because they’re a little denser than usual, almost like a muffin texture, which in my opinion makes them a perfectly acceptable breakfast cupcake. It’s the holidays after all, let’s splurge a little! 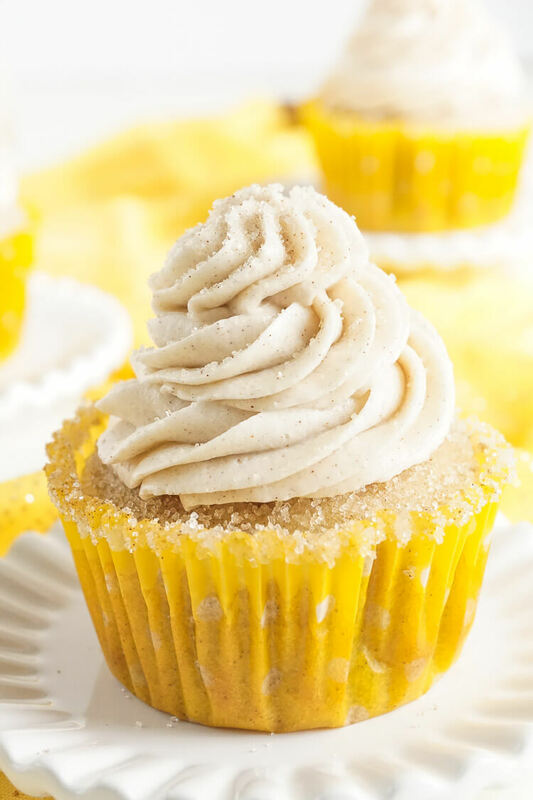 These Snickerdoodle Cupcakes are everything you love about the classic cookie in cupcake form! Line cupcake pan with liners and set aside. Sift together flours, baking powder, salt, and cinnamon into a medium bowl and set aside. In a large bowl or stand mixer fitted with a paddle attachment, cream the butter and sugar until pale and fluffy on medium-high speed. Add eggs one at a time mixing between each addition. Add vanilla, scrape down the sides as needed. On low speed, add the flour in in small batches alternating with the milk and heavy cream. Fill liners ¾ of the way full and bake for 18-20 minutes until toothpick comes clean. Once cool, melt butter and dip the dome of the cupcakes in it and then into the cinnamon sugar. In a large bowl or stand mixer fitted with a paddle attachment, cream butter and sugar on low speed until pale and creamy. Slowly add in confectioners' sugar and heavy cream a little at a time, alternating between each, while mixing on low over the course of about 3 minutes. Add vanilla, cinnamon and salt and beat on medium speed for about 3 minutes until light and fluffy. 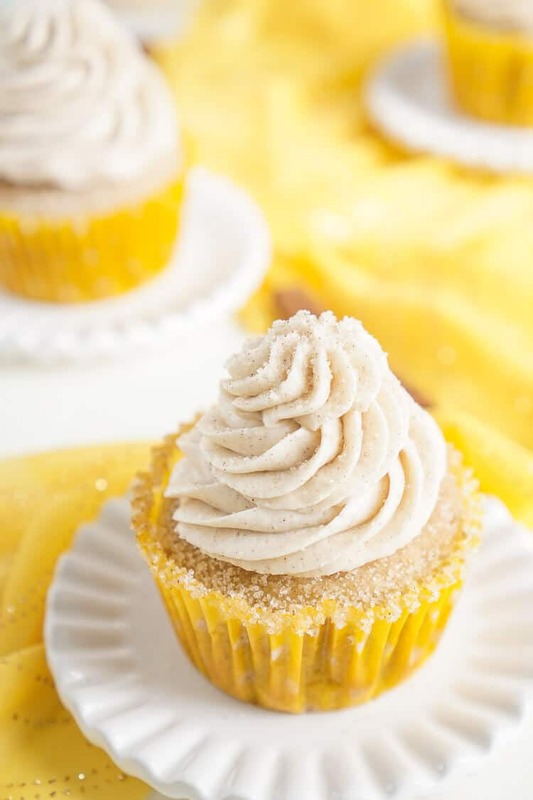 Frost cupcakes and sprinkle with cinnamon sugar. Is it supposed to be 3/4 cup of flour and cake flour? The recipe just says 3/4. Look forward to trying these!! Hi Melissa! Yes, cup… all fixed now, thanks for pointing that out!